Introducing the new PD Series Chemical Metering Pump: designed specifically for industrial water treatment applications. 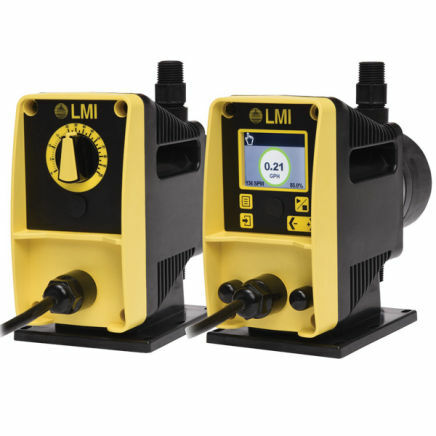 The new PD Series metering pump adds advanced technology to one of LMI’s most popular pump. Available in two models, Manual and Enhanced, the PD Series pump fits seamlessly into your water treatment process while adding convenience and value to your application. The Manual model offers straightforward control without the need for tedious calculations. Its split-scale dial ensures precision, even at lower flow rates. The Enhanced model offers external control and a large graphical display to provide intuitive access to advanced features.